This is a) simple to execute b) hilarious c) from our new friends at collegeinfogeek.com. Use to get your buddy back after he or she tampers with your Facebook status. 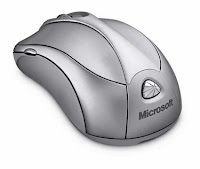 Switching a bro’s mouse buttons around is a great way to see him start jabbing forcibly at the mouse while simultaneously yelling “THIS IS NOT THE MOTHERF****G RIGHT CLICK BUTTON!! !”It’s also really, really simple. Change the “View by” option in the top right corner from Category to Small Icons. Check the box to switch the primary and secondary buttons. This is probably the least evil and least harmful trick here, but it’s still funny. This post was authored by Thomas Frank. If you liked it, follow him on Twitter!